Keeping a used diesel generator in smooth working condition requires a lot more than a regular service after 6 months. 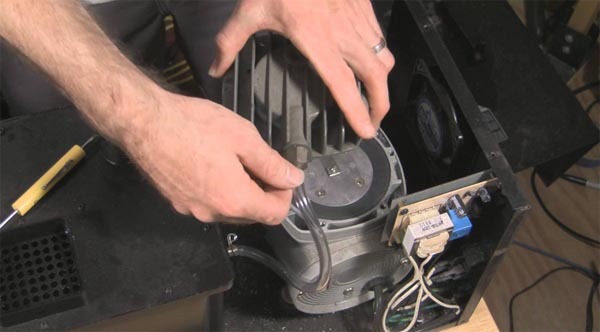 From cleaning a carburetor to changing air and fuel filters, men of the tips are so straight forward, if neglected can trounce back by decreasing the life of your generator. 1. With government doing so many efforts to bring unperturbed electricity in most part of the nation, diesel generators are less used in homes relatively to previous times. As a result, the ethanol present on the diesel with its viscous property get gum up gradually on the carburetor. So, if your generator fluctuates between strokes or is not continuing any rotation, most probably your fuel is the problem and has jammed the carburetor. You can always find DIYs to remove a carburetor and clean every sub-part respectively. 50% of generators remain stuck due to a bad carburetor and bad fuel combustion. 2. Another problem that is related to fuel is the air and fuel filters. A constant check is required if your Air and fuel filters aren't performing. If your generator is unable to provide expected load or the rotation speed oscillate between threshold values. That can be the very reason, your air filter needs to be changed (but not the only reason). Changing an air filter is easy and if you have mechanical skills, you can do that by reading through the user manual provided with it. Please keep in mind, that you make all connections and nuts tight before starting the engine. Otherwise, the suction process will get affected. 3. Do a Load Test: Load test not only signify many problems in your used diesel generator but also in the connections associated. So, making an authentic load test on the scale of precision and production can increase the shelf and operating life of the generator. 4. Replacing the lubricants: Just like vehicles, generators also need a constant cycle of lubricants. So, one needs to keep a check on lubricants. You can easily check the lubricants by the changed color to dark black. 5. If you have a high emitting used diesel generator (probably 10 years old), you will need to take extra precautions as excessive pollution can even be a health hazard factor not only for you but for the community as well. And also their loud combustion system is not too practical as compared to low-emission diesel engines of today. So, you need to install it with a sound absorbing shell. As there are many other factors that may affect your used generator performance, but keeping an eye on these factors alone can increase generator performance and life comprehensively. I hope, you are already considering these factors and making prior solutions to it. Even, you can assign all this jobs to a private generator servicing company, which have specialized engineers to do this for an affordable amount. This will keep your hands from getting dirty and also will throughput better analysis and results.